The Windows 10 October 2018 Update was a real mess for Microsoft, not to mention for those users who installed it and lost their data. That feature update is back with Windows Insiders for further testing, and it likely won’t be long until it’s re-released. In the meantime, Microsoft is busy working on the next feature update, due out next Spring (the Spring 2019 Update, perhaps? ), and today the software giant releases a new build to Insiders on the Fast and Skip Ahead rings. Build 18262 (19H1) gains an additional column in the Details tab of Task Manager that will show you which of your running apps is DPI Aware -- that is, which apps tell Windows how they handle DPI scaling. To show the column, right-click on any of the headers in the Details tab, click Select Columns, then add DPI Awareness to the list. You can see what it looks like below. Troubleshooting has been improved in Build 18262 too. 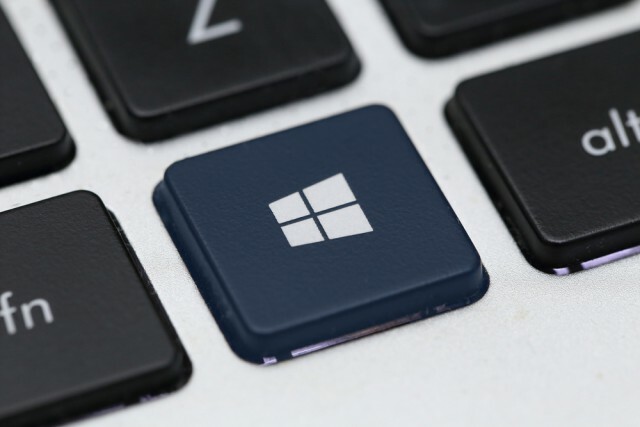 Windows will use diagnostic data to deliver a tailored set of fixes matching problems detected on your device and automatically apply them to your PC. Go to Settings > Update & Security > Troubleshoot in Build 18262 for this. Also, in this build, Narrator can now read next, current and previous sentences. 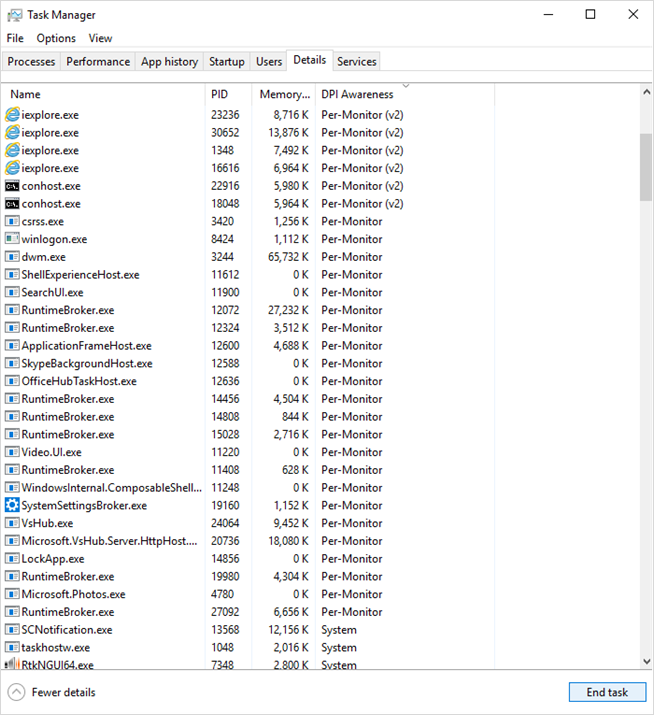 Fixed an issue resulting in App History being blank in Task Manager in the last flight. Fixed an issue from the previous flight resulting in Task Manager’s icon in the notification area of the taskbar not staying visible while Task Manager was open. Fixed an issue resulting in the upgrade to the previous flight potentially failing with error. This same issue could have resulted in Office products not launching, services not starting, and/or your credentials not being accepted on the login screen after first upgrading until rebooting. Fixed an issue where Settings would crash in the last few flights if in Ease of Access you clicked "Apply" on Make Text Bigger. Fixed an issue where Settings in the last few flights might crash in the last few flights when clicking Check for updates or applying an updated Active Hours range. Fixed an issue where Notepad wasn’t listed on the Set Defaults by App page in Settings. When adding a new language in Settings, Windows now offers separate options for installing the language pack and setting the language as the Windows display language. It also shows separate options for installing the Speech recognition and Text-to-speech features, when these features are available for the language. Updated the Printers & Scanners page in Settings to now include a link straight to the troubleshooter in case you need it. Some Insiders may notice some changes to clipboard history. Fixed an issue resulting in File Explorer not launching if invoked from a pinned Start tile when in Tablet Mode. Fixed an issue resulting in the brightness sometimes resetting to 50 percent after a reboot. Microsoft is investigating an issue resulting in Settings crashing when invoking actions on certain pages. This impacts multiple settings. Switching audio endpoints from the volume flyout in the taskbar doesn’t work -- there will be a fix for this in an upcoming flight.